Click on selected tracks below to hear samples. 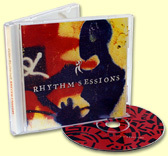 Rhythm Sessions is a CD that incorporates all the instruments I make and more. It is percussive-melodic and has been getting great reviews from my customers. Many people listen to it while working to propel them through their day. 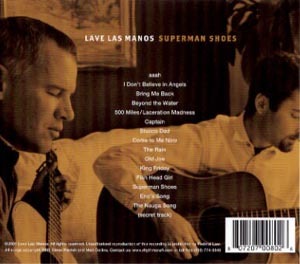 Superman Shoes is the definitive collection of the original songs of Glenn Parrish & Matt Collins AKA - "Lave Las Manos"
These songs cover a wild imaginative range from the "piercing bright beauty" of Celtic longings to strange and formative childhood encounters with polyester and stucco. You will find yourself in the company an ancient neighborhood wander (Old Joe), a disillusioned Mr. Rogers bit player (King Friday) and desperate aquatic life (The Fish Head Girl). Why does King Friday steal from his church's collection plate? What is a Stucco Dad? 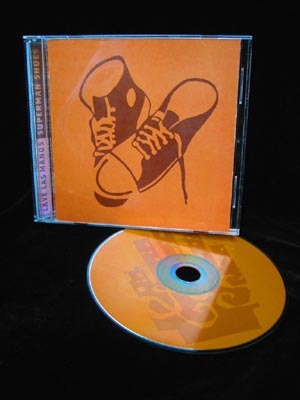 Find out the answer to these important questions and more on the CD Superman Shoes! and she just can't stop it." Some of the instruments found on this recording were crafted by Matt Collins. 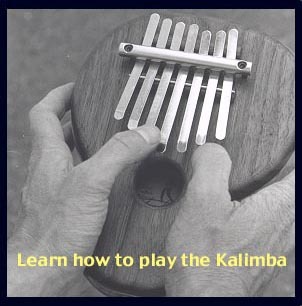 This CD has step by step instructions on playing your Kalimba. It lays out a good approach to the instrument and is very encouraging. The CD also contains music to play with your Kalimba. This CD has step by step instructions on playing your Slit Drum. It lays out a good approach to the instrument and is very encouraging. The CD also contains music to play with your Slit Drum.